CANNABIDIOL OR CBD HAS BEEN ONE OF THE MOST EXCITING DISCOVERIES IN HEALTH AND WELLNESS IN RECENT YEARS. COVERAGE IN MAJOR MEDIA OUTLETS HAS MADE CBD A HOUSEHOLD NAME, AND PEOPLE ARE DISCOVERING ITS BENEFITS FOR THEMSELVES EVERY DAY. 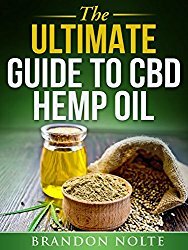 OUR COMPREHENSIVE GUIDE TO CBD HEMP OIL PRODUCTS WILL GIVE YOU ALL THE INFORMATION YOU NEED TO KNOW TO GET STARTED USING CBD AND SHOULD ANSWER ANY QUESTIONS YOU HAVE BEFORE YOU BUY CBD HEMP OIL. NOT SURE IF WE ARE THE CHOICE FOR YOU? Infused with concentrated cannabidiol (CBD) from agricultural hemp aerial plant parts, these PlusCBD Oil™ Softgels ensure you get an exact amount of CBD in every serving. If you’re new to Hemp Extract products, our gummies are the perfect option. We infuse Hemp Extract, which is known for its potential to improve mental and physical health, into tasty gummy bears to create one of our best-selling products. Whether you are looking for relief from insomnia, anxiety, pain or inflammation, or wanting to promote your overall health, our premium Hemp Extract Gummies may help transform your health. Nature’s Script Hemp Extract is sourced from organic-certified, non-GMO, high-quality Industrial Hemp. Sweet notes of red mandarin and subtle notes of other spiced flavors. © Pure Water Health 2018. All rights reserved.